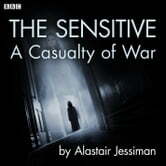 A BBC Radio 4 atmospheric thriller from the series of investigations by the 'Sensitive': Glasgow's psychic detective, Thomas Soutar. Starring Robin Laing as Thomas, Sheila Donald as his mother and Julie Duncanson as Kat. Also featuring Paul Young and Edith MacArthur in the cast.